Medicine balls are an excellent tool for developing overall power in all of the major muscle groups. While most people think of upper body plyometrics and throws when thinking of med balls, they can do much more. They can be very helpful in core training and the workout below challenges the abs, obliques, and lower back. This can make a great circuit to put after your weight lifting to blast your core from several angles. You can perform multiple sets of this circuit, with a rest period after you complete each circuit. As long as you can use good technique for every exercise, try completing 2 or 3 sets, with a rest period of 3 to 5 minutes. The weight of the medicine ball you choose should be challenging, but allow you to complete all reps of each exercise. Once you are able to complete 3 sets without any real struggle, then it is a good time to choose a heavier ball to try. You can also try timing each circuit, especially if you have a partner. This can make a fun and intense competition to see who can perform the fastest times. Make sure you keep each other honest and use good form for each rep. Sit ups with a twist work both your abdominal muscles and your obliques. You can see what this exercise looks like in the video below, but it essentially consists of performing a sit up and then a twist to each side of your body. You begin in a starting sit up position, with bent knees and you back on the floor. Hold the medicine ball overhead, then perform a sit up with solid technique while engaging your core. When you get to the top position, twist to one side, tapping the ball on the floor, then twist to the other side. Try mixing up which side you twist to first. You can either alternate sides with each rep or alternate side with each set. You may be more familiar with kettlebell swings, but you can also perform them with a medicine ball. To really engage your abdominals and your lower back, you should perform them with a full range of motion. You begin in a solid stance with you feet shoulder width apart and good posture. Hold the medicine ball outstretched in your hands and "swing" the ball from between your legs and up to above your head. If you are flexible and balanced enough, you can reach back even further. Woodchoppers are a great exercise for engaging your obliques. Some people perform them with cable machines, weight plates, and even dumbbells, but you can also use a medicine ball on them. You begin with feet shoulder width apart and bend down to hold the ball to the side of one of your knees. You then reach the ball up across your body and over the opposite shoulder. After completing all reps, you switch to the opposite side. You can see what these look like in the video below. The great benefit of using a medicine ball is that you can throw them around a little bit. If you have the space and an adequate landing surface, you should take advantage of that. Twist slams involve the entire core while also boosting your heart rate, for a great metabolic workout. To perform this lift, you hold a ball with feet shoulder width apart, a stable core, and good posture, you twist to one side and explosively slam the ball on the ground outside of your feet. Catch the ball on the rebound, and twist to the other side and slam the ball there. Repeat until you have performed the desired number of reps on each side. 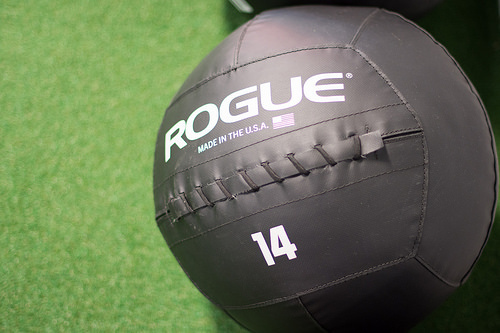 Medicine balls can be a great tool for pretty much any body part, and the core is no exception. Mixing in a circuit at the end of your strength training session is an efficient and powerful way to build functional strength in your midsection. Sign up below for free instant access to a pdf report from vertical jump expert Jacob Hiller on how you may be able to increase your vertical jump by up to 2-6 inches in just 45 minutes! Copyright 2014-2016 by Postema Performance. 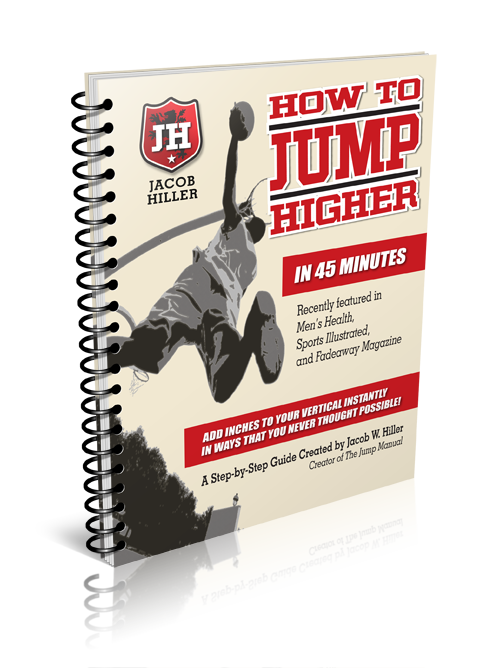 Sign up below for FREE instant access to a report from jump expert Jacob Hiller on how to improve you vertical by 2-6 inches in 45 minutes!